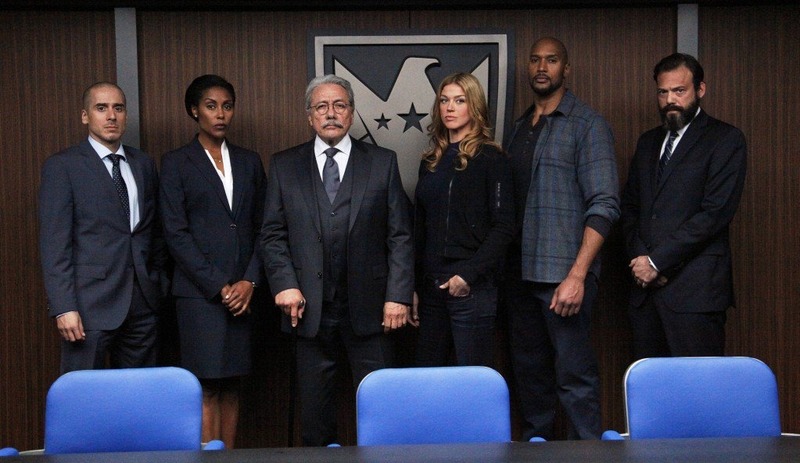 With Avengers: Age of Ultron, which was kind of shoehorned into the last set of episodes, a thing of the past, it was time to wrap up season two of Agents of S.H.I.E.L.D. Thankfully, the show managed to end its sophomore season on a high note. The villain of this season was kind of difficult to pinpoint. I’m talking overarching bad guy and not just one offs for a certain episode or two. It looked like Bobbi and Mack might have gone rogue early on. Then, it seemed like Robert Gonzales (Edward James Olmos) could be it. There was also Raina, Gordon, and there’s always Ward. However, having it ultimately be Jiaying was fantastic. The slow reveal was well done, her plan was strong, and she flipped the switch from caring mother to evil villain with ease. I do have to criticize that it wrapped up too quickly. She got to be bad for only a couple of episodes and died in the finale. 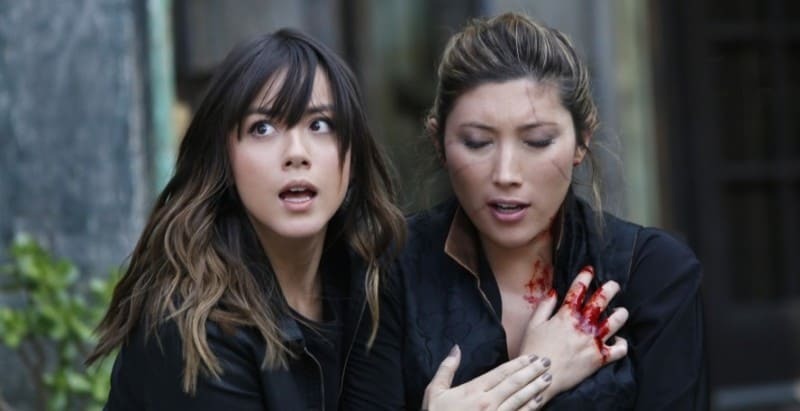 I would have liked her to stay alive and become the season three antagonist, especially when episodes could really dive into how Skye would handle it all. 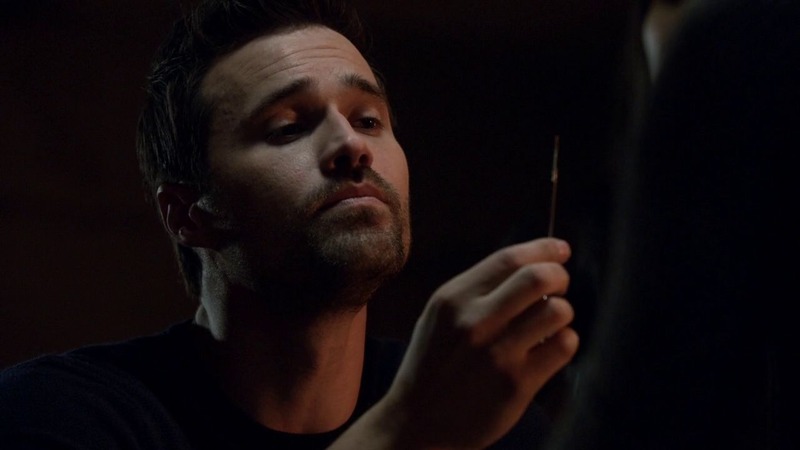 While Jiaying ended up as the main villain, Grant Ward continued to shine. In this set of episodes, he spent a lot of time capturing and torturing Bobbi. The reason for it was to get revenge for his new love, Agent 33/Kara. While I never bought into that romance, it gave us these scenes, so it was worth it. Ward was cold, calculating, and sadistic. He’s the kind of villain the show could benefit from truly focusing on. He was fantastic here. With the way the season ended, he seems to be set up for something big next time around. With the torture scenes, Adrianne Palicki was given a lot to work with. The actress showed a wide range of emotions, from tough girl suppressing pain to being in agony to emotionless to desperation. Bobbi was a great addition to the show, as was Hunter. Their relationship was a focal point in these last few episodes, giving us some truly tense moments. Watching Bobbi take the bullet in the trap set for Hunter was one of the stronger moments for her character and of the entire season. Kyle MacLachlan continued to be a great piece of the show. Each time Cal has flipped from bad guy to doting father, he’s handled it with care and made it work. Again, he did it this time around. 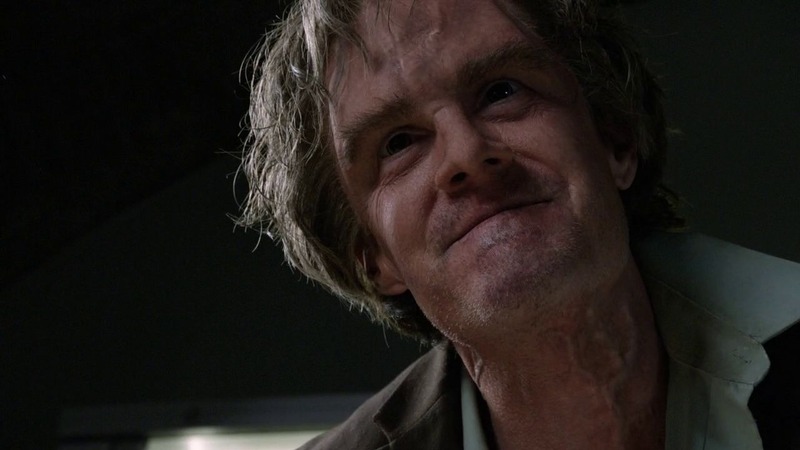 However, when he took the serum and made himself more powerful, not even the best acting could save it. He just looked so goofy. It was hard to take anything he did seriously. Even when he kills Jiaying, it should’ve been a massive moment. Instead, it kind of felt hollow and he just came across as lame. This is more related to the entire season than just this batch of episodes, but it needs to be said. The pacing of this show improved tremendously. Season one felt like a show that was just trying to build something for the long term. It’s a nice idea, but that meant a lot of storylines moved at a snail’s pace. Characters would purposely hold things back for a later payoff. It was a problem. In season two, characters were introduced, people moved around, and a lot happened. Ultimately, it made for a better show. Not a ton to touch upon for MCU connections since it was only three episodes. Scars, episode 20, handled some of the aftermath of Avengers: Age of Ultron. There wasn’t much, but Gonzales did mention what Tony Stark did by creating that A.I. The main connection that the finale gave us was just that Ward was taking over Hydra following the deaths of Dr. List and Wolfgang von Strucker in Avengers: Age of Ultron. Honestly, the most notable thing to happen involved Fitz and Simmons. Their “will they/won’t they” has driven a lot of the character drama on the series. After a topsy-turvy second season, it all finally seemed to be coming together. Fitz got up the courage to ask Simmons on a date and she agreed. Of course, as soon as he left the room, she was sucked into the Kree construct that we were introduced to earlier in the season. It makes for quite the conundrum going forward. Is she dead? In another dimension or planet? How will the team handle it? What does Fitz do? I’m intrigued. It was only three episodes, but they were a very good set of episodes. Ward, Jiaying, Bobbi, and Hunter were all highlights. I found it interesting that Skye, Coulson, and May took something of a backseat here and the show still worked. The supporting cast is getting stronger and I like it.